The Palestinian Ministry of Health yesterday announced that it was preparing for a shipment of cancer treatment, special drugs and vaccines for children. The health minister, Jawad Awaad, said that the ministry was finalising the required documents and permits for the receipt of the medical shipment, adding that it will be transferred to the ministry’s warehouses today. “We are exerting every effort to best serve the enclave’s patients and provide them with the necessary medications,” the minister stressed. Gaza has been suffering extreme shortages in drugs supplies and medical treatments in hospitals following the Israel-led siege on the enclave. Israeli occupation forces have killed 202 Palestinians in the occupied West Bank and the besieged Gaza Strip since US President Donald Trump’s decision to recognise Jerusalem as Israel’s undivided capital in December 2017, the Jerusalem Centre for Studies of Palestinian and Israeli Affairs revealed yesterday . The body said 35 children and five disabled people were among the Palestinians killed, five died in detention, nine were killed in airstrikes and one – engineer Fadi Al-Batsh- was assassinatedby the Israeli Mossad in Malaysia. The report also said that 134 Palestinians had been killed during the “Great March of Return”, which started on 30 March, including two journalists and a female paramedic. Out of the 35 children, the report said, 24 were killed during the Israeli crackdown on the “Great March of Return”. The Palestinian Authority (PA) on Tuesday decried as a “declaration of war” an Israeli law penalizing the Ramallah-based authority over stipends paid to detainees in Israeli jails and families of those killed by Israeli forces. “This is a declaration of war against the Palestinian people and their freedom fighters and prisoners who sacrificed for the sake of Jerusalem and the establishment of an independent Palestinian state,” PA spokesman Nabil Abu Rudeinah said in a statement cited by the official Wafa news agency. On Monday, the Knesset (Israeli Parliament) passed a bill that would allow cutting funds to the PA by the amount it pays to detainees and families of Palestinian martyrs. The withheld money would instead go into a fund designated to help victims of attacks carried out by Palestinians. Without elaborating, the Palestinian spokesman warned that the PA would take “critical decision” if the Israeli law was put into force. “This issue is considered one of the red lines that no one is allowed to surpass,” he said. Under the Oslo Accords, signed in 1993 between Israel and the PLO, Israel collects around $175 million every month in taxes on Palestinian imports and exports on behalf of the PA.
US-sponsored peace talks between the Palestinians and Israel collapsed in 2014 over Israel’s refusal to halt settlement building in the occupied territories. The situation escalated after the US administration of Donald Trump in December officially recognized Jerusalem as the capital of Israel. Ariel Gold, a member of Code Pink for Peace and an outspoken proponent of the Boycott, Divestment and Sanctions (BDS) movement in the U.S., was detained at the airport in Tel Aviv, Israel on Sunday, and was denied entry and sent back to the U.S. The movement that Gold is a part of, the Boycott, Divestment and Sanctions (BDS) Movement, is aimed at pressuring Israel economically to get the government of Israel to adhere to its obligations under international law and signed agreements. She has been a prominent and outspoken proponent of Palestinian rights, and despite her deep ancestral connection to Judaism – her family can trace its lineage back to 16th-century Rabbi Yosef Caro, author of the “Shulchan Aruch” (the codification of Jewish religious law), who is buried in Safed, Israel – the Israeli government has deemed Gold to be a ‘security threat’. Though she has never broken Israeli law, and is steadfastly committed to nonviolence, the Israeli government considers her political views to be a threat – essentially charging her with a ‘thought crime’ for critiquing Israel’s policies. Gold had been told the last time she left Israel that she would need to notify the Israeli Ministry of the Interior the next time she came to Israel. She obtained a student visa to study Jewish Studies at Hebrew University, and notified the Ministry of Interior as they requested. 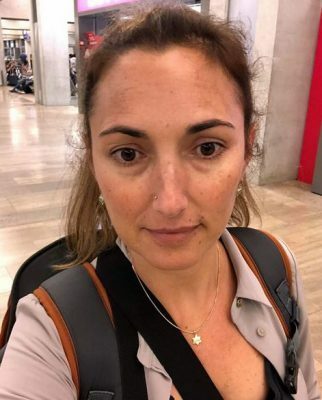 But despite that fact, she was deported and her passport stamped with a denial of entry, after 8 hours of interrogation and detention at the Ben Gurion Airport. Her student visa was canceled and the Minister of Interior Arye Deri weighed in on the case personally, stating, “Gold has distributed videos on social networks, in which she harasses IDF soldiers and Border Police officers in Hebron, accusing the soldiers of apartheid and oppression, and that their actions do not conform to Jewish values”. With this statement, the Interior Ministry made clear that the reason Gold was denied entry was the ‘thought crime’ of criticizing Israeli policies and practices. 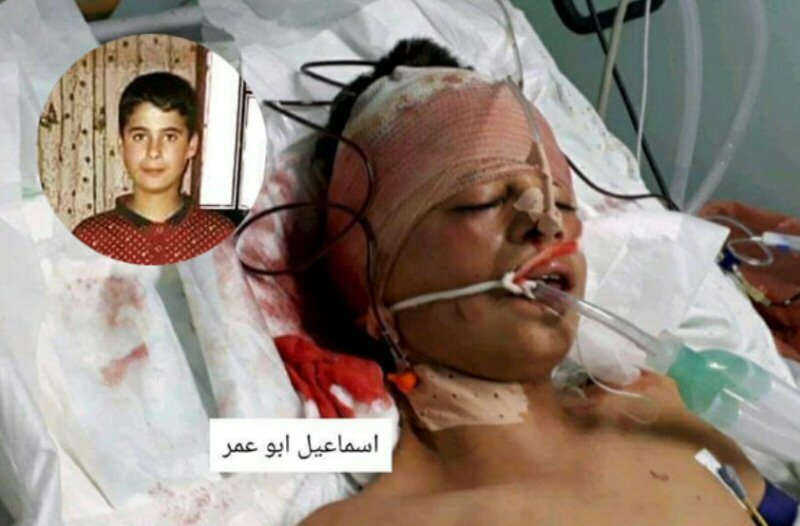 Israeli occupation forces have killed 25 Palestinian children in the occupied West Bank and Gaza Strip since the start of 2018, Defence for Children International – Palestine (DCIP) revealed on Sunday. Of the 25 minors killed by occupation forces, 21 were targeted in the besieged Gaza Strip, the organisation said. According to DCIP, 21 of the 25 children were killed with live bullets, and 11 of them were shot in the head and neck. Few places are as beautifully positioned as the Palestinian village of Nabi Samwil. The ‘Mount of Joy’, as the Crusaders called it in 1099, still has commanding views over Jerusalem and the surrounding hills, but its current reality under the Israeli occupation lacks any cause for celebration. Caged in by both the Separation Wall and designated as an Israeli national park, Nabi Samwil is a striking example of the profound injustices of the occupation- just a stone’s throw from the wealthy suburbs of Jerusalem. Since it was occupied by the Israeli army in June 1967, Nabi Samwil has been subjected to repeated human rights violations. After roughly one thousand inhabitants fled the village 51 years ago, making their way to the safety of Jordan, a few hundred remained. For the latter, life has become more and more claustrophobic under subsequent Israeli rule, as the village has been targeted for its proximity to Jerusalem and for its strategic position on a hilltop. One of the largest injustices in the earlier years of Israeli occupation was the sudden demolition of 52 homes in 1971. These properties were located beside the supposed tomb of the Prophet Samuel and were bulldozed under a paper-thin pretext: that they were structurally unsound and dangerous to their inhabitants, following damage in the 1967 war. Israel’s decision not to return of the land to its owners is clear evidence of its underhand intention to force Palestinians from their homes and constitutes a direct forcible transfer of the population. This trend continues, with The United Nations Office for the Coordination of Humanitarian Affairs (OCHA) reporting that 125 people were coerced, through the draconian restriction on their lives, to leave Nabi Samwil between 2007 and 2014. Al-Haq, a leading human rights NGO based in Ramallah, recently released a detailed report on the ‘all encompassing impacts of Israel’s occupation’ in Nabi Samwil. Its research, full of first-hand testimonies, makes for painful reading about the daily abuses experienced by Palestinians there. Designated as Area C under the Oslo accords, Nabi Samwil comes under full Israeli military and administrative authority. Consequently, severe and unlawful planning regulations afflict it, which mean that, in effect, all building is prohibited. With extensions deemed illegal and threatened with demolition, local families, which have grown considerably since 1967, are forced to squeeze into small houses, often with no windows and problems with humidity. The building of the Separation Wall in 2005 has further deteriorated people’s quality of life and has isolated them from the West Bank (even though they have West Bank IDs). As one resident put it, the community now lives ‘in an invisible cage’ and even the simplest of daily tasks prove difficult. For instance, villagers must receive ‘coordination’ from the Israeli Civil Authority (ICA) to receive guests, even if they are visiting family members; the checkpoint is arbitrarily closed for days on end, meaning it is impossible to leave the village; and public transportation is limited by Israel to just ‘one West Bank licensed-bus, one minivan, and one taxi for emergencies’. Given the limitations on movement, access to health is heavily restricted. People in need of urgent medical attention often cannot be taken to Jerusalem for treatment, since their escorts do not have the correct permits. The village used to receive weekly visits from health professions, but these stopped after the women’s centre, where the visits took place, was demolished on August 3rd, 2016, in a move that France (the building’s funder) decried as ‘illegal under international law’. Access to education is not much better. The village’s school bus driver, Khaled Sa’adeh disclosed the indiscriminate racism he and the children suffer on their way through the checkpoint to school in the nearby village of Al-Jeeb. On 5th April 2015, an Israeli soldier deliberately prevented the students from reaching their classes by asking to see seven of the girls’ birth certificates. When Sa’adeh asked whether this was a new law, the reply he got from the soldier was: “this is a new procedure that I am taking, and as a consequence, I am going to prevent this bus from passing”. Israel also further undermines the cultural life of the community through archaeology. Citing spurious Biblical scholarship, Israel claims the village of Nabi Samwil lies on the site of Biblical Mizpah and contains the bones of the prophet Samuel. However, as Emek Shaveh, an Israeli NGO which seeks to protect cultural property, points out: “remnants from the 11th century BCE, the time of the prophet Samuel, have not been found at the site’. Under the guise of Biblical history, Israel is selective and destructive in its archaeological practice. Whilst preserving the layers which support its own religious-national agenda, Israeli archaeologists destroy evidence that they do not wish to see. In the case of Nabi Samwil, an anonymous Israeli archaeologist admits that hundreds of years of early Muslim archaeology were erased from the site: ‘In the northern part of the site, thick layers of almost 1000 years of Islamic remains were bulldozed in order to uncover the Crusader era stable area’. This wanton destruction of cultural property could amount to a ‘war crime’. Nabi Samwil is plagued by the occupation in all areas of community life and effectively serves as a microcosm of the occupation at large, exemplifying, to quote Al-Haq, ‘Israel’s policy of fragmentation, and the physical and invisible barriers that divide Palestinian land and people’. The Israeli Nature and Parks Authority website tells a different story of Nabi Samuel national park, when it promises ‘fascinating antiquities, a terraced agricultural landscape, mountain springs and orchards’ and ‘one of the most breathtaking vistas in Israel’. All at the expense of the local Palestinian population, whose existence might not even be noticed, let alone understood, by the passing streams of tourists. 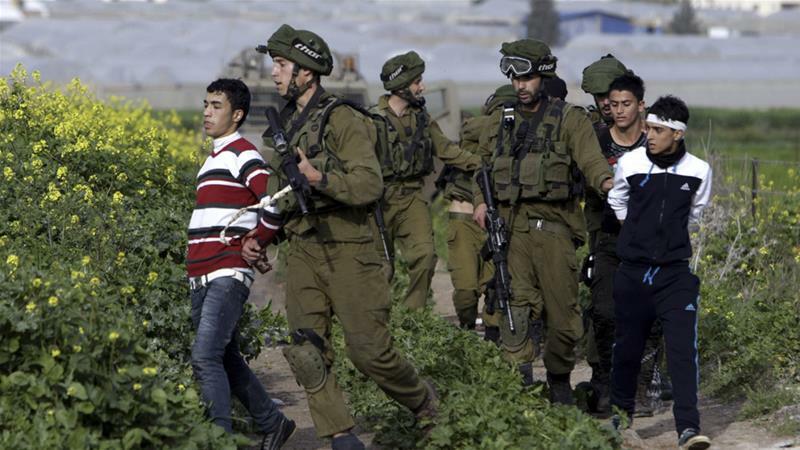 Israeli Occupation Forces (IOF) on Tuesday arrested 12 Palestinians during a raid across the West Bank. 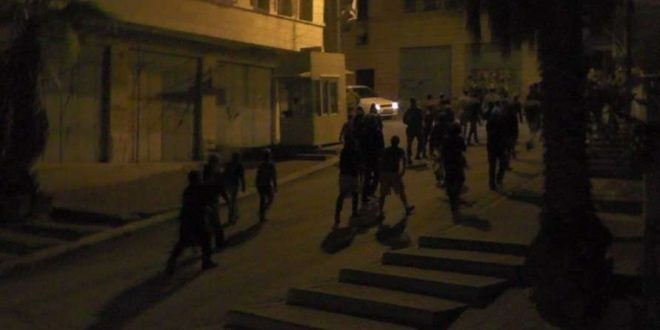 Local sources in Bethlehem said the army detained two Palestinians from Dheisheh refugee camp, one from Beit Fajjar and one from Taqu in the Bethlehem district. Another Palestinian was detained from al-Mazra al-Gharbieh, one from Deir Abu Mishel and one from Rantis, all in the Ramallah district. 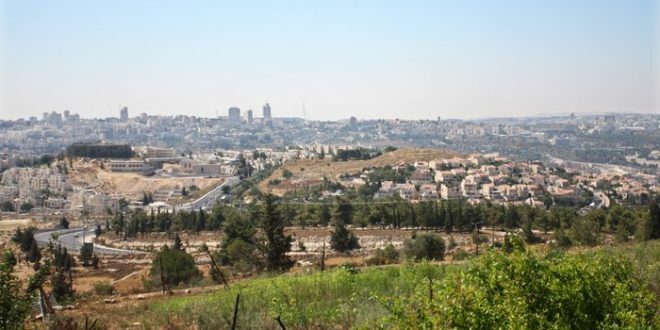 Further north in the Tulkarm district, the army detained a Palestinian from the city, another from Quffin village and one from Deir al-Ghusson. A Palestinian was also detained from Azzoun, in the Qalqilya district. One Palestinian was also detained in Hebron in the south of the West Bank. Israel’s parliament has passed a law that withholds hundreds of millions of dollars in funds from the Palestinians over welfare payments given to prisoners and their families. The Knesset, Israel’s parliament, approved on Monday the law with 87 of the 120 legislators voting in favour and 15 opposing. The new legislation will deduct the money that the Palestinians allocate to prisoners and others killed by Israeli forces from taxes collected by Israel on behalf of the Palestinian Authority. Legislator Avi Dichter, a co-sponsor of the law, said the families of Palestinian prisoners had easy access to these funds. Arab legislators railed against the bill ahead of the vote. Jamal Zahalka, of the Joint List of Arab parties, said the bill was “despicable”. “You are stealing from the Palestinian people,” Zahalka shouted. Israel has long pushed for the Palestinians to halt the stipends – which benefit roughly 35,000 families of Palestinians killed and wounded in the conflict with Israel – saying the practice encourages violence. Among the beneficiaries are families of Palestinian prisoners and others who were killed by Israeli forces. The stipends total approximately $330m, roughly seven percent of the Palestinian Authority’s $5bn budget in 2018. Palestinians say the tax revenues, collected by Israel for them under past peace agreements, is their money, and that the Palestinian Authority has a responsibility to all of its citizens like any other government. For Palestinians, the families are widely seen as victims of a half-century Israeli occupation. Senior Palestinian official Hanan Ashrawi, accused Israel of theft and piracy. “This is nothing short of highway robbery, this is real piracy, they are stealing Palestinian funds, it’s not theirs to decide what to do with it, if we were free we wouldn’t need Israel to collect customs.” she said.